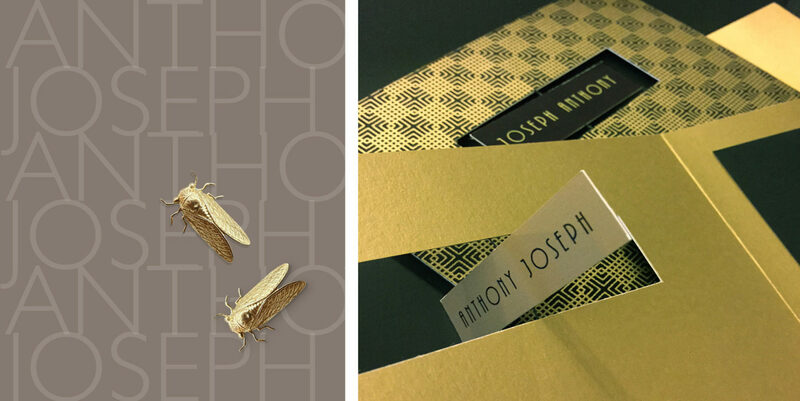 For a match that was meant to be, a cutout panel on the cover turns to read “Joseph Anthony” and “Anthony Joseph,” highlighting the uncanny coincidence of these grooms’ names. 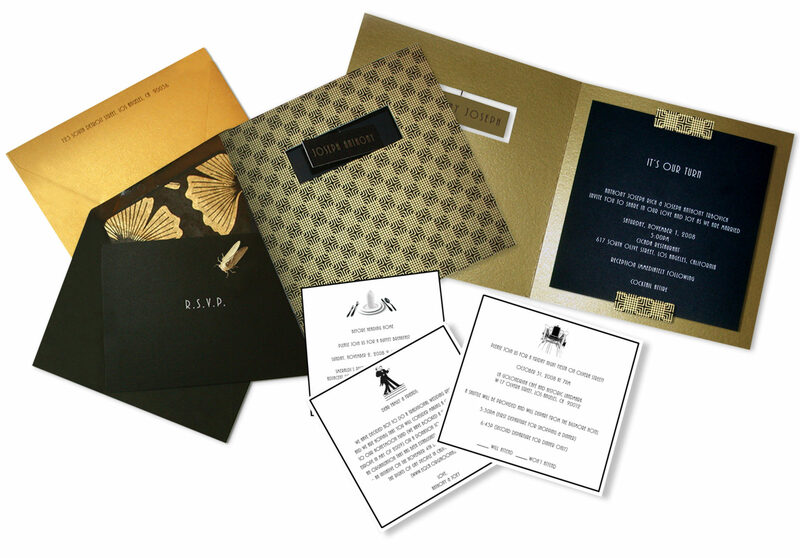 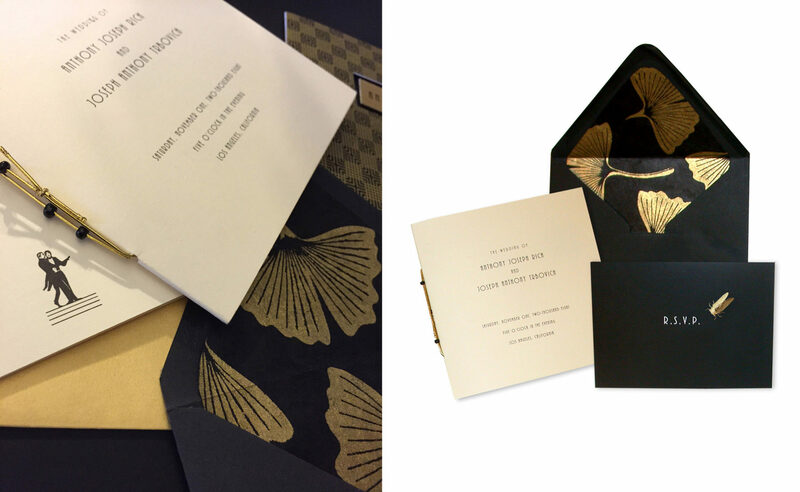 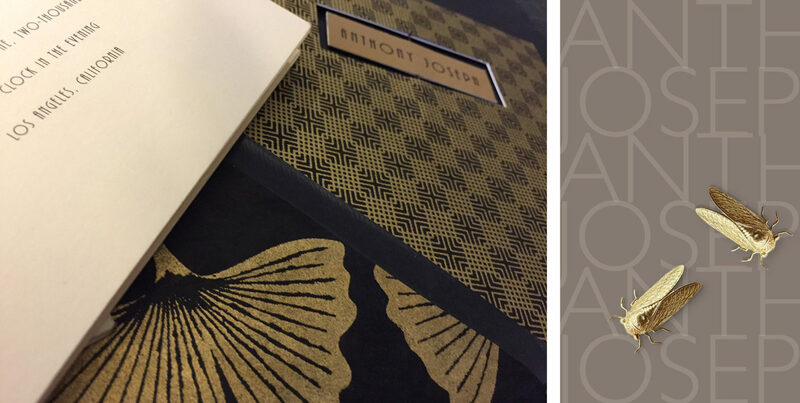 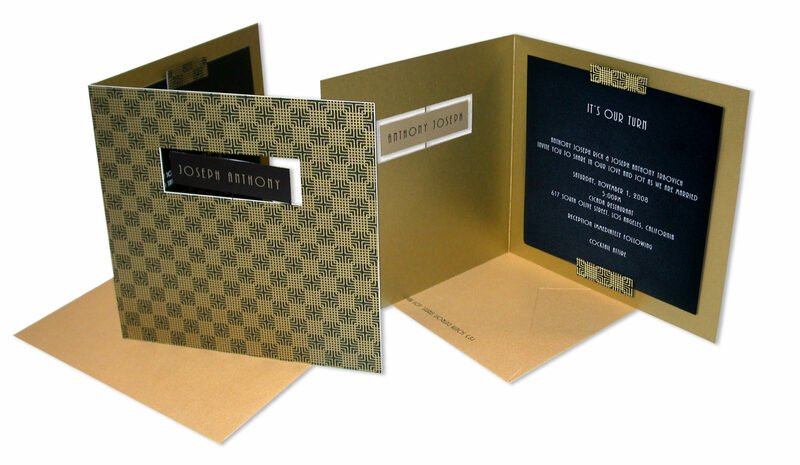 The elegant gold and black Art Deco patterning was inspired by the event location – Downtown LA’s landmark Cicada. 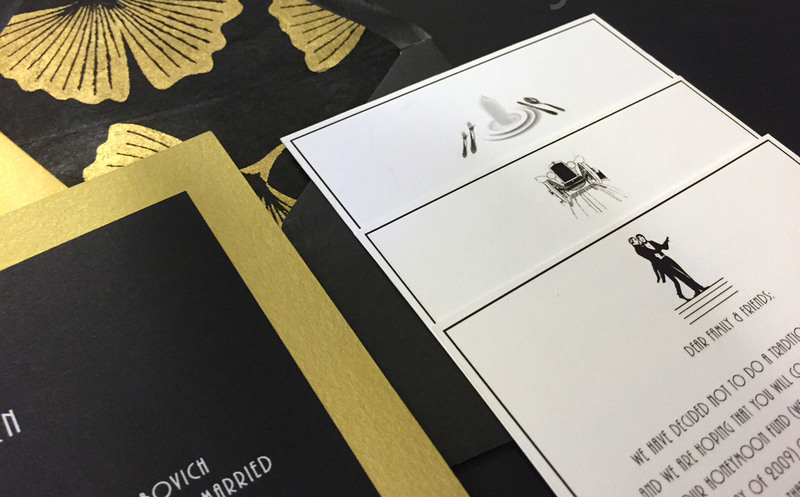 The invitation also features information cards with original illustrations, tipped-on cicada response cards and envelopes with handmade Japanese paper liners.